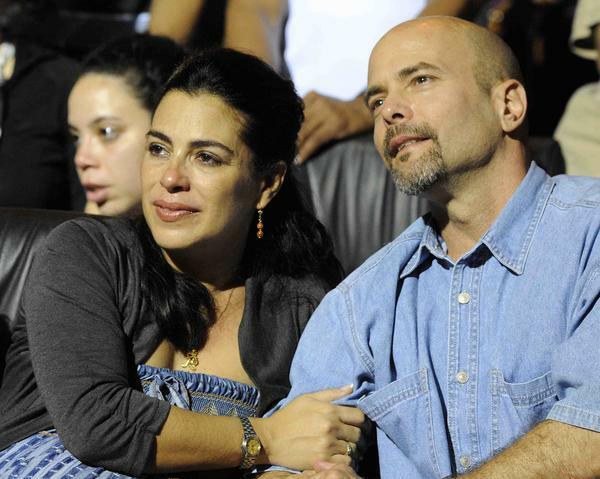 Havana, Jan 6.- Gema Hernández, daughter of one of the Cuban Five, Gerardo Hernandez and his wife Adriana Perez, was born here today, surrounded by relatives and common people who received the news with great joy. Gema, born with a little over seven pounds, through caesarean surgery and both she and her mother Adriana Perez O’Connor are reported in good health, reported the midday National TV Newsreel. Gerardo explained that Adriana wanted to name her Gema, meaning precious stone, because if it was a boy I wanted to name him Gerardo and the closest name to Gerardo is Gema. Gema’s father returned to Cuba last December 17, together with Antonio Guerrero and Ramon Labañino, the three Cuban fighters who were still serving unjust sentences in United States prisons. The Five, arrested in 1998, included Rene Gonzalez and Fernando Gonzalez, who had returned to Cuba months before, after wholly serving their sentences.